Buyers please view the following link for information on new development in the area. https://businessden.com/2018/12/11/industrial-site-just-north-of-city-limits-sells-for-41m/ Up and coming area. This home features 4 bedrooms, 2 baths, sun room and finished basement. 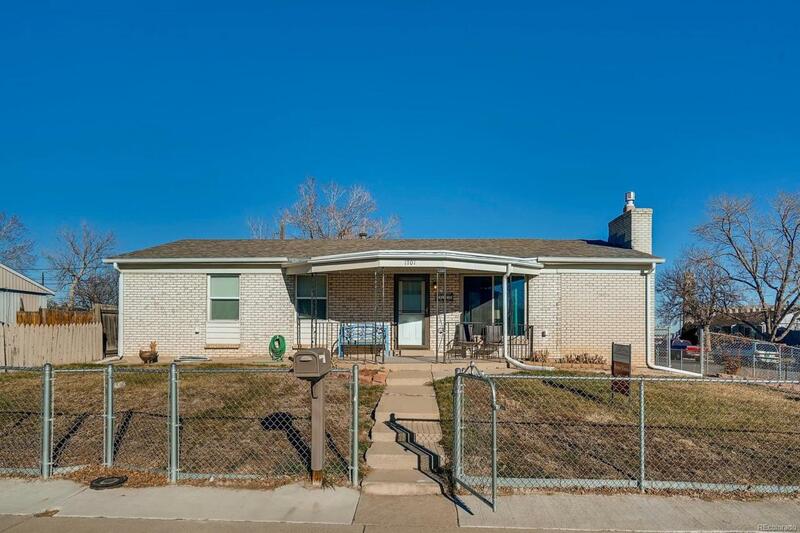 Located on large corner lot, this home offers a newer roof, water heater, furnace and upper level windows. Open floor plan with wood flooring and gas fireplace. Updated kitchen with granite counter tops with included stainless appliances. Spacious bedrooms and closets with 2 additional linen closets. 1066 square foot finished basement with rec area, pool table, 4th bedroom (non-conforming) and laundry room. Relax in the sun room, or step outside to a patio and large back yard.